A few days ago Mercer, the global human resources consulting firm, published its current list of the most expensive cities in the world. According to their survey, the most expensive place to station an employee isn't New York or Tokyo. 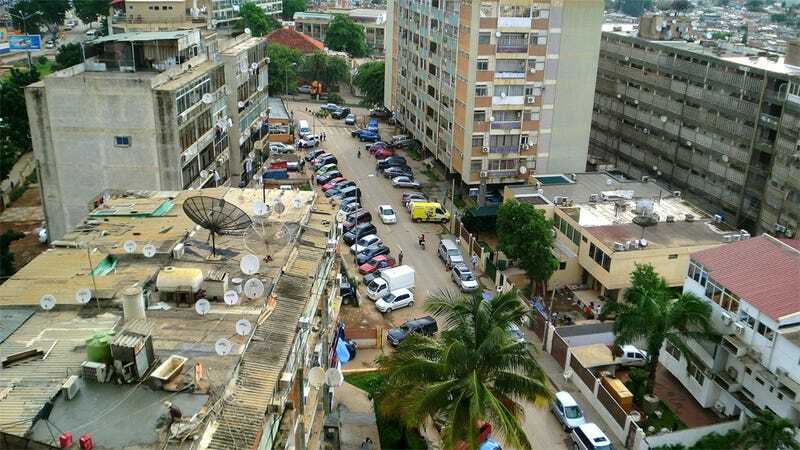 It's Luanda, Angola. Mercer looked at 214 cities and created a ranking based on the cost of housing, transportation, food, clothing, household goods, and entertainment. Moscow and Tokyo follow Luanda, then N'Djamena (Chad, Africa) and Singapore come next. Hong Kong is the sixth, and after the Chinese metropolis come three Swiss cities. Sydney closes out the top ten. Long-term living in one of the most expensive cities in the world means that you have to spend a huge amount of money for a rental apartment. Curious what it would take to find a place in these ten super-expensive metropolises, we stepped into the role of apartment hunter, searching for the most luxurious rentals we could find. Below are the interesting results. 10. Sydney, Australia. Average monthly rent: $2,551. This house at Sereia, Palm Beach costs around $114,000 per month. 9. Bern, Switzerland. Average monthly rent: $2,687. This 510-square-foot unfurnished apartment can be rented for $6,380. 8. Zurich, Switzerland. Average monthly rent: $3,915. This 770-square-foot unfurnished apartment can be rented for $13,617. 7. Geneva, Switzerland. Average monthly rent: $4,350. The following apartment with eight rooms on the waterfront costs $22,518 per month. 6. Hong Kong, China. Average monthly rent: $7,092. Can you afford $122,508 a month for a flat in the apartment building called "Celestial Garden" on Repulse Bay Road? 5. Singapore. Average monthly rent: $3,795. $45,080 for this old villa? Seems reasonable, if you have that kind of money. 4. N'Djamena, Chad. Average monthly rent: $2,245. It's extremely hard to find proper apartments in N'Djamena online, so here is the best choice: the Presidential Suite in Hotel Kempinski. It costs about $180,000 per month. 3. Tokyo, Japan. Average monthly rent: $4,513. This apartment in the Atago Green Hills Forest Tower will set you back $10,204. 2. Moscow, Russia. Average monthly rent: $4,600. This elite rental in the Krasnaya Presnya district can be rented for $27,000 per month. 1. Luanda, Angola. Average monthly rent: $6,500. This three bedroom apartment goes for $10,000 a month. Top photo: Luanda, Angola by maxbrotto.